Are you tired of only being able to buy 5 party games at a time? Do you want 7 party games? 8 party games? Well you can’t get 7 or 8, but you can get TEN! 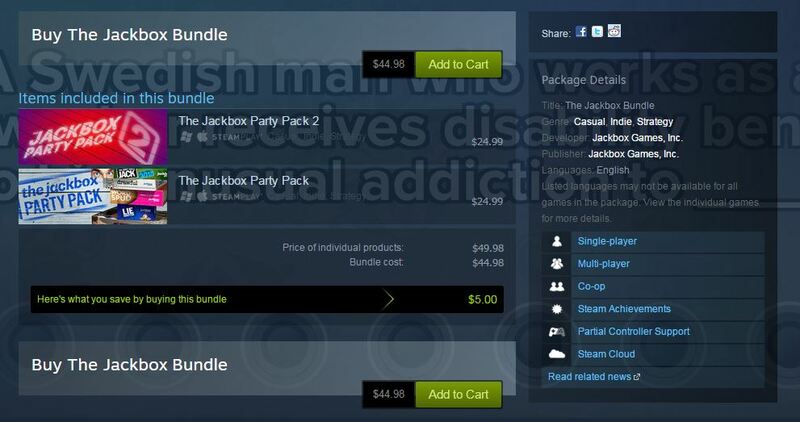 You can save some cash by buying The Jackbox Bundle on Steam. 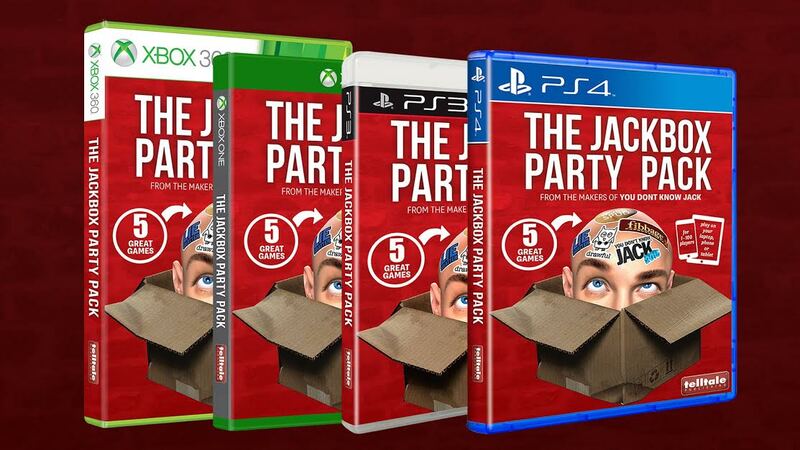 It includes both The Jackbox Party Pack and The Jackbox Party Pack 2. What are you wearing? It looks AWFUL. For a limited time these shirts will be available for the low price of $15.99, but the price will go up to $19.99 in the next few days. Through a partnership with Telltale Games, we’re excited to announce that The Jackbox Party Pack is now available in shiny-disc-form starting today! You can pick it up on PS3, PS4, Xbox One and Xbox 360 in you favorite stores. The Jackbox Party Pack will be available in Europe on November 6th. Now that we’ve been doing our weekly Friday Twitch stream for over a year, we’re excited to finally participate in Extra Life this fall. 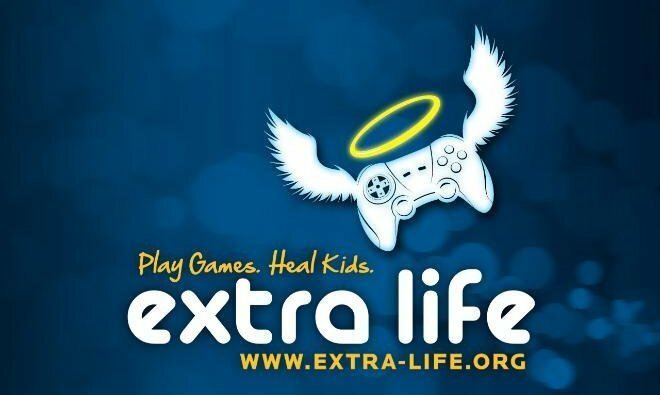 For those who don’t know, Extra Life is a charity where gamers raise money for Childrens Miracle Network hospitals by doing what they do best: playing a crapton of games. We’ll by participating with an extra-long not-quite-24-hour-but-still-pretty-long Twitch stream on Friday, November 13. Spooooooky. Instead of streaming from 2PM-3PM we’ll be streaming from 9AM until at least 2AM. Stay tuned to this page and follow @jackboxgames on twitter for the latest updates. Lots of ways! The easiest way is by donating money to our Extra Life Team. You can also join our team and help raise money by doing your own fundraising streams. 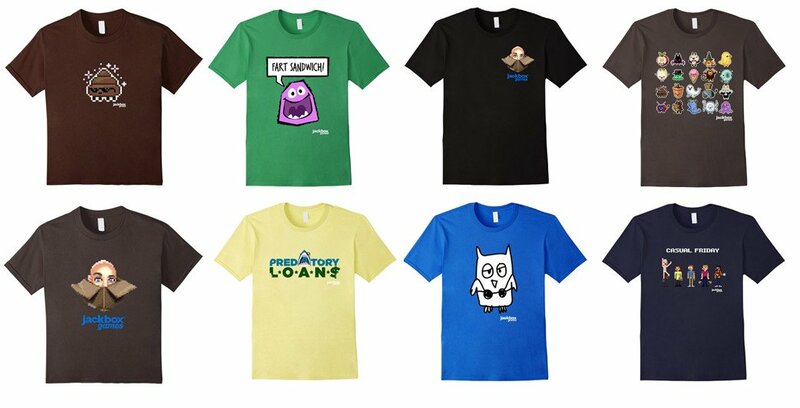 We will have some prizes for the biggest non-Jackbox fundraiser on our team. Otherwise, just spread the word by sharing this post on social media. And finally, watch our stream: http://twitch.tv/jackboxgames. Because we’re not everyone else! Also, we thought we’d spread out a little bit. Also, November 7th isn’t Friday the 13th. Will You Give Away Codes? And we’re still collecting new games to give away. Are You Only Going To Play Your Games? We’re supporting the Ann and Robert H. Lurie Children’s Memorial Hospital in Chicago.